Caring for combination skin is challenging. Your complexion is in between two skin types where you get the worst of both worlds: An oily T-zone and patchy cheeks. We don't blame you if you've given up on finding moisturizers or face creams that work for you—heavy moisturizers can clog your face's oily areas, yet light lotions can't effectively hydrate the dry patches of your skin. But don't despair. As tricky as this skin type is to treat, it's not impossible to find products that will suit your skin! The key is finding the right balance between moisture and weight. To start you off, here are eleven moisturizers for combination skin that are worth adding to your skincare routine! This super lightweight product from Clinique gives you the kind of dewiness that's only possible to see when one has achieved a well-hydrated complexion. Oil-free and packed with skin-strengthening ingredients, this ~*jelly*~ aptly nourishes both dry and oily areas, making it a great moisturizer for combination skin. Not to mention, it also comes in a pump packaging, which means less bacteria contamination and more product control! Nothing preps your face for your motd like a moisturizer that is intensely hydrating, refreshing, and non-greasy! This gel-cream by Kiehl's is formulated with Imperata Cylindrica Root Extract and Antarcticine to help your complexion retain its moisture. The result? 24-hour hydration and shine control! Harmful chemicals can do more bad than good any skin type. That's why we love this cream from I'm From. On top of being cruelty-free, paraben-free, silicone-free, and steroid-free, it also has no artificial fragrance and coloring! 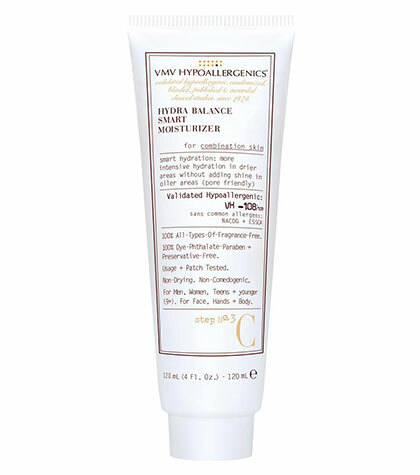 It contains five percent honey and 54 percent Propolis Extract restore your complexion to a balanced and radiant state. Lightweight and nutritiously au naturel, this isn't only a moisturizer that can work for combination skin, but for all skin types! This cult fave has 90 percent antioxidant-rich watermelon extract, giving you that naturally radiant pinkish glow that no blush can recreate. It's silky to touch but is weightless and oil-free, making it a great moisturizer for combination and oily skin. Refined by Bio-Nanotechnology, this water-based moisturizer delivers deep hydration sans the greasy and slick feeling, and it leaves your skin cool and refreshed. It also has ingredients that can prevent premature aging and cellular damage as well as maintain skin firmness. It's hard to believe this product costs less than P200! 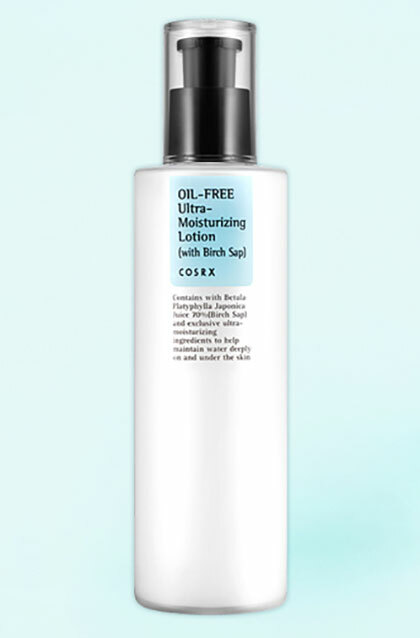 In the realm of skincare, it's impossible not to hear of Korean brand COSRX, and this product is one of the reasons why! Lightweight and oil-free, this face lotion is formulated with 70 percent Birch Sap which helps hydrate and treat sensitive, irritated, or freshly exfoliated skin. 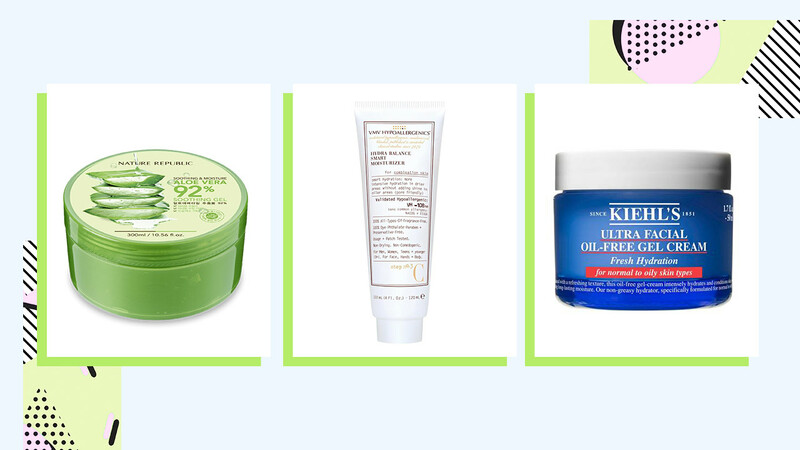 Given these qualities, it's not only a moisturizer for combination skin, but is a product anyone can try! Since it's hard to find products that suit combination skin, it can be intimidating to ride with skincare trends. The fear that they might worsen your complexion's condition is always there. If you're wondering whether you should jump on the aloe vera craze, this is your green light! 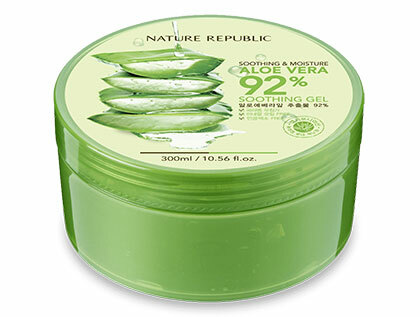 This gel from Nature Republic is soothing, refreshing, and moisturizing. It hydrates your skin without the sticky feeling and gives it a firming effect, too! And oh, did we mention that this is under P250? What. A. Steal. If you like multi-purpose products, this one from St. Joan is for you. Rich in vitamin E and glycerin, it can be used for the face, body, and scalp. It also repairs damaged skin, strengthens sensitive skin and scalps, and even reduces fine lines and wrinkles! This moisturizer's ~*smart hydration system*~ will work well for combination skin: It delivers intense nourishment in drier areas without adding grease in oilier areas. It's firming, hypoallergenic, and non-comedogenic. You'll never have to worry about breaking out with this one! 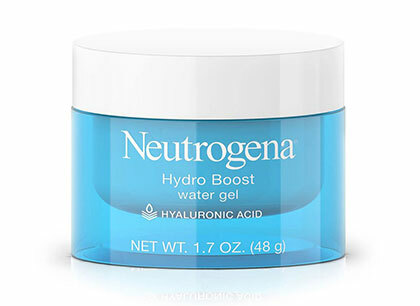 If you're on the hunt for something that will revitalize your skin, this one from Neutrogena is worth a shot. It has Hyaluronic Acid, so it will hold moisture longer. 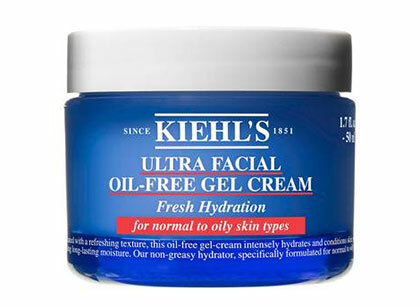 Also, its gel consistency will help your skin absorb the formula faster. 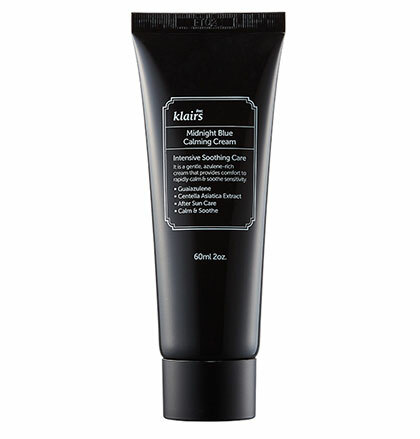 Lastly, it's oil-free so it can also work as priming moisturizer before you put on makeup.